The Private Hiking tour in Monemvasia is an once in a lifetime experience because of the unique natural phenomenon and the devine beauty of the whole area! The area of Monemvasia is an ideal place for hiking as there is a dense network of well-maintained and signed hiking trails. If you wish to explore some of those routes accompanied by one of our guides, just book this tour. You will know a different aspect of Monemvasia while your guide will both take care of the safety of the team and explain you about the places you will be passing by and about the local flora and fauna. There are several routes of different difficulty and/or duration even ones suitable for children. Some of the routes can be combined with visiting an attraction of the area (e.g. cave of Kastania) or swimming in a remote beach, not accessible by car. The Hiking tour in Monemvasia is organized any day of the week upon request and the particular trail is selected according to the wishes of the group. 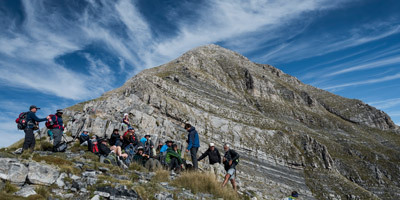 The hiking trail will be chosen by you after the booking, based on your preferences and abilities. Hike to the highest peak of the whole Peloponnese at the mountain Taygetus and live an unforgettable experience! 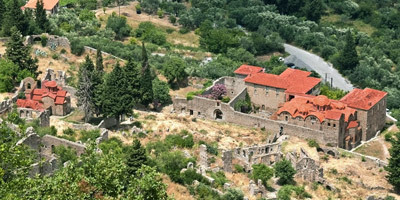 Visit the Frankish and Ottoman monuments as you walk on Byzantine paths of Mystras! 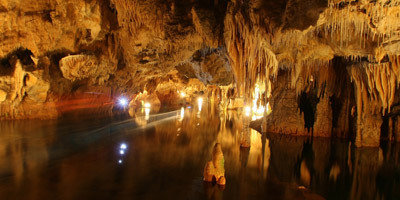 If you are staying in Kalamata or Mani and its aurroundings, don’t miss out to visit the Diros cave that is considered to be the first of the three most beautiful and impressive lake caves in the world! See what people really think about our tours - Read our customers' reviews on tripadvisor.com! Need help? We would be more than happy to help you!